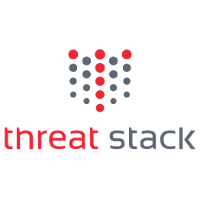 Threat Stack provides continuous security monitoring for public, private, and hybrid cloud infrastructures protecting servers, and the data they access, from intrusion and data loss. "Great way to automate manual security and compliance processes"
Threat Stack helps us automate our general security and auditing process, but the best part is eliminating manual evidence collection for compliance. Not all of the AWS services we use are covered comprehensively. Using Threat Stack to improve overall security posture and specifically meet certain compliance needs. SolarWinds Virtualization Manager delivers integrated VMware and Microsoft Hyper-V capacity planning, performance monitoring, VM sprawl control, VDI performance monitoring, configuration management, alert remediation, and chargeback automation. Google Stackdriver offers monitoring, logging, and diagnostics for applications on Cloud Platform and AWS. The quick-to-deploy solution for server, cloud, and OS monitoring without limits. One product for monitoring and troubleshooting. No muss, no fuss. Zenoss is a provider of unified monitoring and analytics software for physical, virtual, and cloud-based IT infrastructures. CloudMonix Monitors your technical stack and automatically fix production issues. CloudMonix supports a wide variety of platforms and infrastructure. * We monitor all Threat Stack reviews to prevent fraudulent reviews and keep review quality high. We do not post reviews by company employees or direct competitors. Validated reviews require the user to submit a screenshot of the product containing their user ID, in order to verify a user is an actual user of the product. Hi there! Are you looking to implement a solution like Threat Stack?